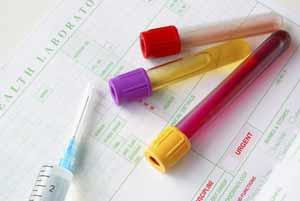 When you are sent for a test, the doctor or practice nurse will discuss with you how you will be informed of the result. This will vary according to what test you have been sent for as some results take longer to come back than others. The doctor or practice nurse will either contact you themselves, ask reception to contact you on their behalf or ask you to phone the surgery after a certain time period. Once the test results are received at the surgery they are reviewed by a doctor and then actioned accordingly. If you wish, you can ring reception any time after the results have been actioned and they will tell you whether the doctor has reported that your test results are normal or not. However, reception staff cannot discuss your results in any more detail. If the doctor asked you to make an appointment to be seen after your test result please keep your appointment, even if your result is normal, as the doctor may want to run some more tests. On some occasions we may write to you to ask you to see a doctor to discuss your results - please do not be alarmed as this does not normally mean that there is anything seriously wrong. Please note any seriously abnormal result is actioned urgently by the doctor who will contact you directly, usually by phone.